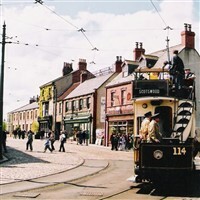 See how life used to be in North East England. Explore the old town, visit the farm, jump on a tram, meet costumed folk and lots more plus most of our visits in 2017 are when special events are on to enhance your visit, or spend the day exploring the city of Durham at leisure. See how life used to be in North East England. Explore the old town, visit the farm, jump on a tram, meet costumed folk and lots more plus most of our visits in 2017 are when special events are on to enhance your visit. Visit the Cathedral, the castle, museums, even a river cruise or just explore the city centre.